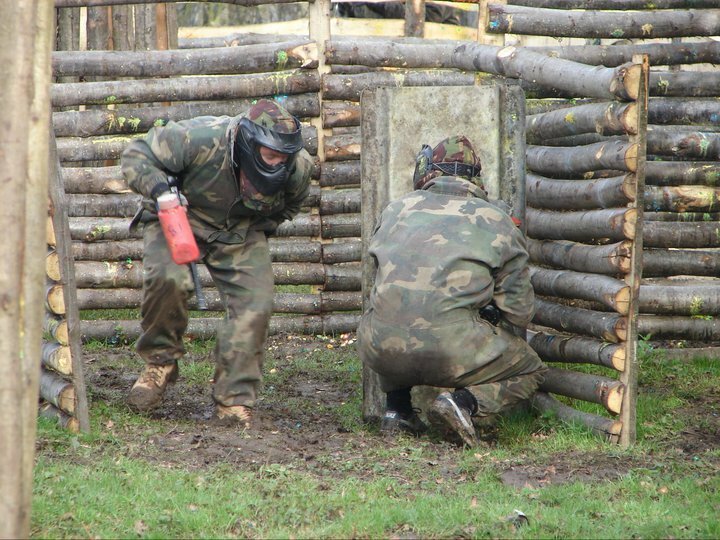 RW Paintball has a number of paintball sites offering amazing value paintballing. We serve the areas surrounding Basildon, Broxbourne, Bishops Stortford, Canterbury, Chelmsford, Cheshunt, Crew, Dartford, Dorking, Harlow, Hatfield, Longfield, North London, Sidcup & Stoke. We also offer large corporate games from Southend. All our sites offering a range of woodland playing zones and a variety of high adrenaline games. Players are welcome from secondary school age (for younger players click here). Our teams have over 25 years of experience in offering great high adrenaline, fun packed, games. All our sites offer a range of playing zones lending themselves to a number of playing scenarios. Our play zones include village, bridge , attack and defend and hostage rescue fields. In addition, each site has it’s own unique playing areas. Paintball days begin at 9am and generally finish around 3.30pm. We run most of our games at the weekend. We can also provide midweek or evening games for larger groups. Half days are sometimes available. These are subject to availability so give us a call to check. Straight forward, honest, pricing leaves no nasty surprises on the day. 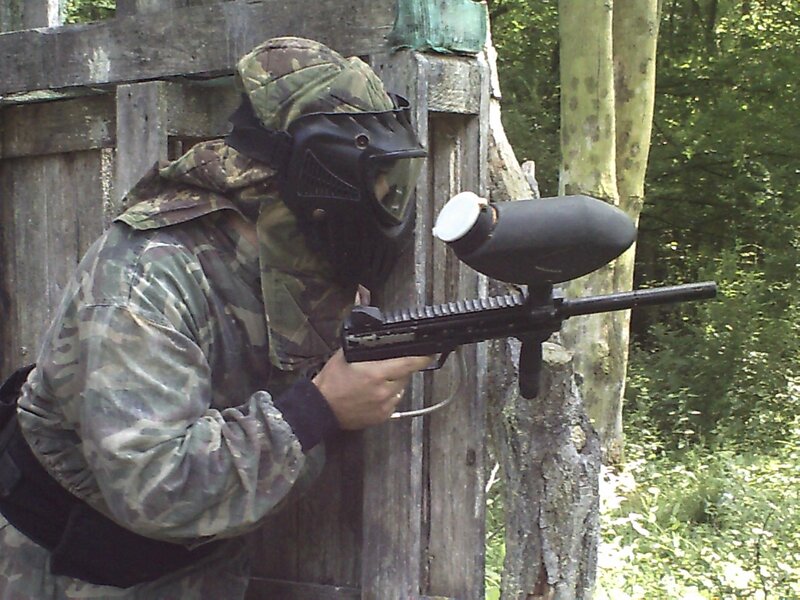 Our paintball prices can be found by clicking here. You’ll find a range of packages to suit any pocket. We do not cater on site but local takeaway restaurants will deliver. You are welcome to bring lunch. Free tea & coffee are available all day. We recommend bringing your own gloves. 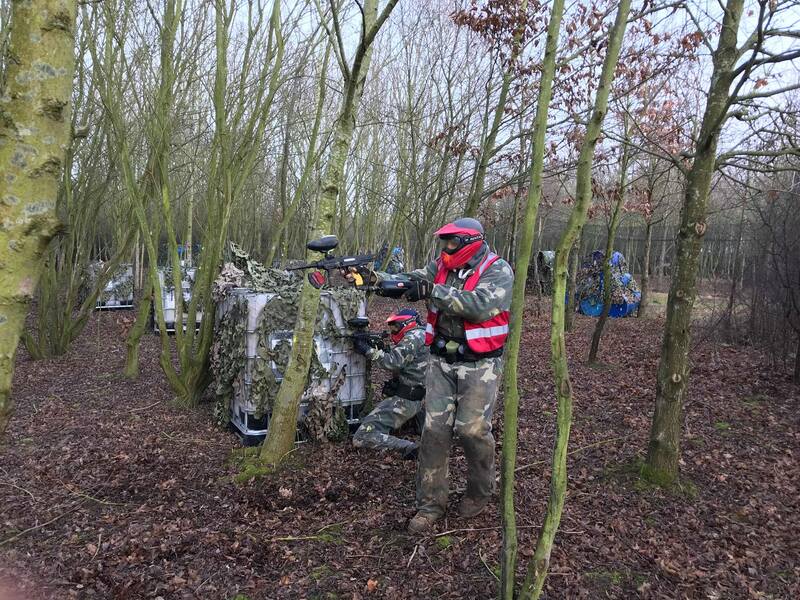 Ready To Book Paintball? 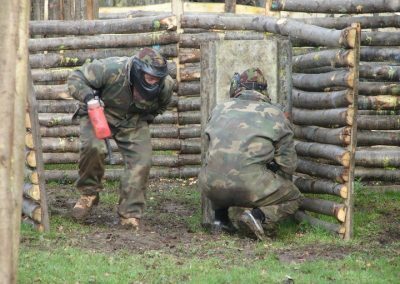 Click here for our online paintball booking page or call us on the numbers at the top of the page. We require a deposit for each player. Remaining money is due on your day of play. Deposits can be paid by calling us at local rate/inc in mobile minutes on 0333 577 6336 or through this website. We accept all major credit and debit cards and use the Paya systems to securely process payments. Deposits are not refundable or exchangeable (for paint etc) for players who do not turn up to play. More details on our refunds policy can be found here. Minimum age is 11 years old AND in school year 7. If you children are younger than this please look at our Kids low impact paintball. Full payment is required upon booking for midweek games. If players do not turn up on the day no refund or exchange is available. We estimate an average player uses 600-700 paintballs in a day and around 400-500 on a half day. This is only a guideline but should help you to plan finances for your day. By placing your booking you agree that you have read and accepted our policies and that your group will abide by our site rules on your day of play. Bookings can only be confirmed after we have received your deposit payment! On the rare occasion that we are unable to fulfil your booking, at your chosen site: In the first instance and where possible, we’ll offer you an alternative site or date. If we can not do this, or if our alternative site/date doesn’t work for you, we will arrange a full refund of any deposit money you have paid us. Please read our policies page before making your booking. We have a number of sites close to Basildon, Broxbourne, Bishops Stortford, Canterbury, Chelmsford, Cheshunt, Crew, Dartford, Dorking, Harlow, Hatfield, Longfield, North London, Sidcup & Stoke. We also offer large corporate games from Southend. All full days include all the essential kit. Modern paintball marker (Gun), overalls, ammo pack and free gas refills are all included. You only need to think about gloves and food. All our sites are outdoor sites so please wear sensible footwear. Covered areas are available to sit in between games. Overalls are provided but we suggest wearing old clothes. Paint can penetrate through layers. Our paintballs will wash out of most materials if washed within a day. Soft drinks/tea/coffee/chocolate are available/on sale on most sites. We can ensure availability for larger bookings, on any site, if requested at time of booking. Some of our sites are only accessible by track. We cannot take any responsibility to damage caused to persons/vehicles so please drive carefully not exceeding 10mph.